To many viewers’ horror (and much of Hollywood’s), Roar’s wild tigers and lions aren’t all CGI shots—they’re real live big-toothed felines. Perhaps one of the most dangerous films ever produced, Director Noel Marshall tells the bloodcurdling tale of a scientist working to protect endangered species in Africa. 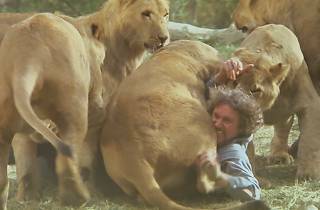 But when the man’s family comes out to visit, let’s just say the pack of friendly Simbas go Jurassic Park on the place. 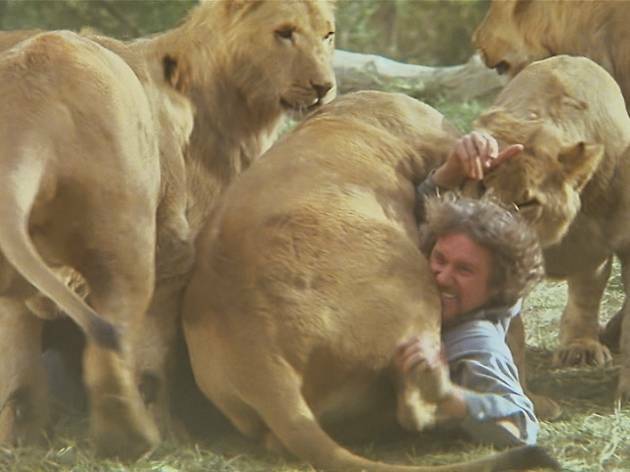 Catch this 1981 thriller at the Cinefamily Silent Movie Theatre from April 15 to 19—if you think you can stomach ever strolling through another zoo again.